When your home has been turned into a kind of storage unit, you might think the best option is for a yard sale. Although you could earn some cash for your castoffs, you’re also setting yourself up for a lot of work. First of all, you’ll need to haul out all the stuff you want to sell in the day of the event. This could mean getting up several hours early on your day off. Not fun for anyone! Before that, you’ll want to post some signs in your neighborhood alerting folks to the upcoming sale. Hopefully, you’re near a busy street and can point folks in the direction of your yard otherwise you’re not going to get any customers. At the end of the day, you could still be left with a lot of unwanted junk. Your option is to drag it all back into your home and create that storage unit all over again or leave it on your curb in the hopes that someone will pick it up. The problem with that is you could be sited for illegal dumping even if it is in front of your house. 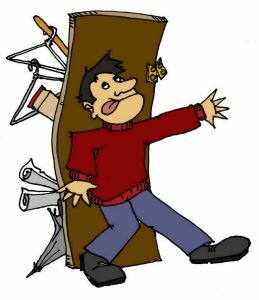 A better option would be to get rid of all your storage unit junk in a single appointment with Junk King. When it comes to hauling rubbish, Junk King is the expert. Let’s face it, if you were willing to sell something for a few dollars then you’re willing to toss it out. The end result will be an empty garage or basement. You’ll be able to get more work done in that garage if the clutter is gone. You could even end up turning your basement into a home theatre. There is a lot that can be accomplished in an empty space! Other items you might have in “storage” could be left over construction materials from a roofing job or remodeling project. If you’re holding onto this trash in your backyard, then let Junk King take it away. You’ll feel a lot better knowing those things are finally off your property. The Junk King crew will also help you take apart big objects like a kid’s play set, fencing or a hot tub. If you want something gone from your home storage unit then turn it over to Junk King. This entry was posted in Don't Turn Your Pasadena TX Home Into A Storage Unit and tagged Junk King, junk removal, storage unit on September 18, 2014 by Jose Urdaneta. Last updated August 1, 2017 .